Well I have had one great year in the lines of music photography. I was kept busy with going to so many gigs, but it has all been worth it! Not only did I get to work at many gigs but I also achieved 3 distinctions in the National Diploma art & design course and got into the Higher National Diploma course in Lurgan. thank God for sticking by me, inspiring me and helping me get to the places I needed to go all for His glory. The only other thanks I can give is to you. All the bands and all the people who have stood by me, encouraging me, giving me the work and mostly importantly for the great fun! I really can’t wait to see what is planned for me in 2011 but I know it’s going to be great! So here it is, a collection of my images from 2010 with some descriptions. 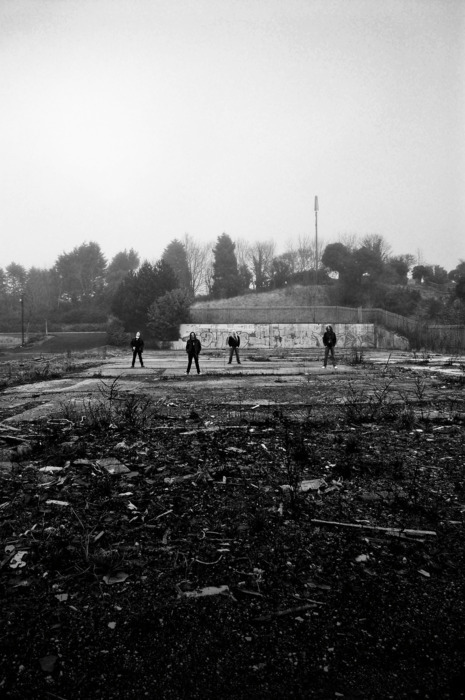 An image used for Bandwagon’s debut EP “Wasting Time”. 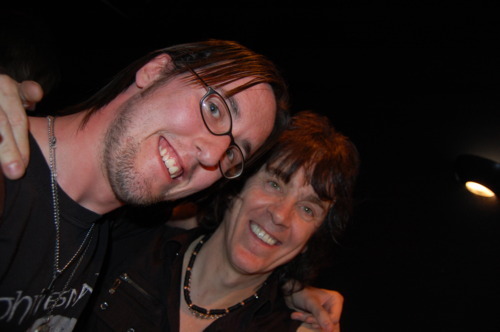 This was the first time I was at Northern Ireland’s greatest venues, The Diamond Rock Club up in Ahoghill. This was one of the local’s birthdays and so playing were Bandwagon and this band Million Dollar Reload. A fantastic venue where the craic is 100%. Photoshoot with Black Freeway. Shame that while after this shoot they lost their guitarist…. grrrr… but photoshoot number 2 is on the way! Irish rock band Glyder performing in the Diamond, was rather sad to hear when these guys disbanded but may their talent live on. One of the greatest musicians that came out of Ireland since Rory Gallagher. Pat McManus (who played for the Mamas Boys) rocking out at the Island Arts Centre in Lisburn. One fantastic player, one fantastic guy. 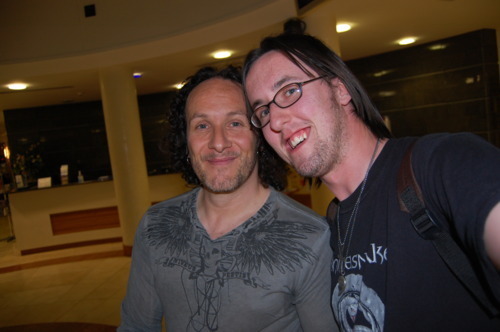 Here is me with the man himself after the show. It was an honour to get to take photos of music legends The Undertones. These guys were presented the Oh Yeah Centre’s Legends award of 2010. And band that still give the teenage kicks right through the night, even without Feargal Sharkey! 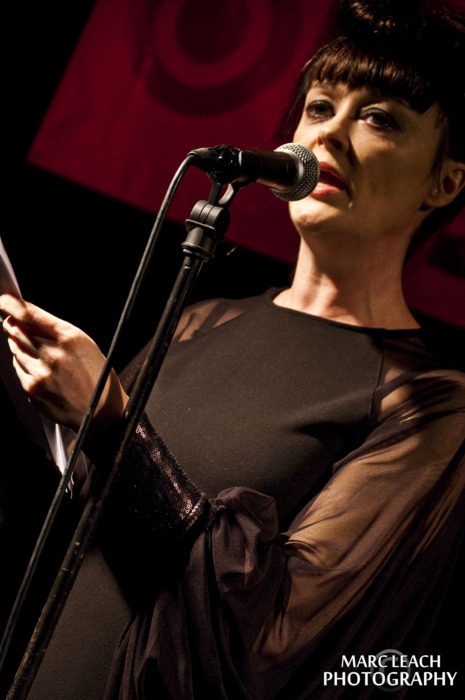 Bronagh Gallagher (The commitments) presenting a rather touching yet comical speech before presenting the award to the Undertones. 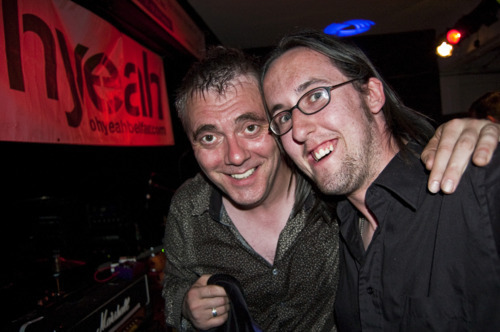 Here is me with Feargal Shar… I mean Paul McLoone after the Undertones show. 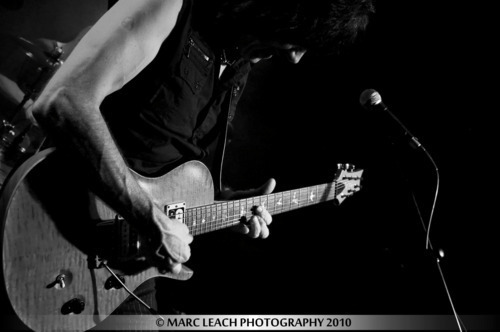 The Almighty’s singer and guitarist Ricky Warwick performing one of his solo shows in Hilden Brewery. This night really helped me learn a lesson. Ricky Warwick has now gone on to sing for the new Thin Lizzy band. The thunderous Last Known Addiction supporting Girlschool down in the Diamond. This was a first night for everything, not just me using my fisheye adaptor for the first time, but it was LKA’s first show with their new bass player Davey Veigh. 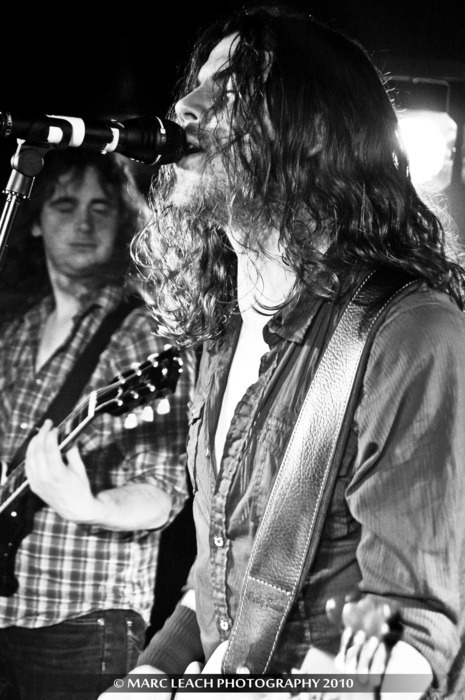 English rock band Young Guns performing in the Speakeasy. A rather comical photo don’t you think? Big thanks to Dee of Radar Promotions for getting me into this show! Francesqua supporting Young Guns. It was after these guys I realised I needed to climb onto the stage to get in front of the barrier, so photos of these guys were taken at the side of the stage, behind the speakers. English Worship band YFriday performing their last show in Northern Ireland. These guys headlined Megalife U+3 down in Moira. One of the first shows I properly tried out my 55-200mm lens. American thrash metal band Exodus performing in the Spring & Airbrake. The same day Young Guns were performing. Not my style like but thanks to James Loveday of the Distortion Project for getting me in! A photo that does bring a nice smile to my face, can you guess why? he funky Star Spangled Badgers performing in the Blackbox. 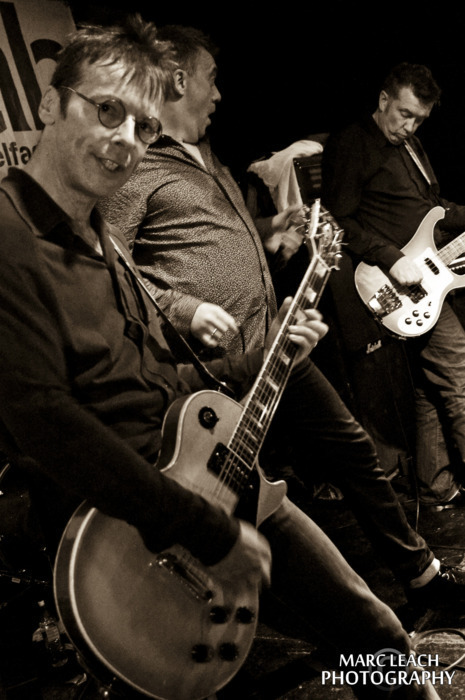 Classic Belfast rock band Sweet Savage performing in Ma Nelson’s just before Christmas. 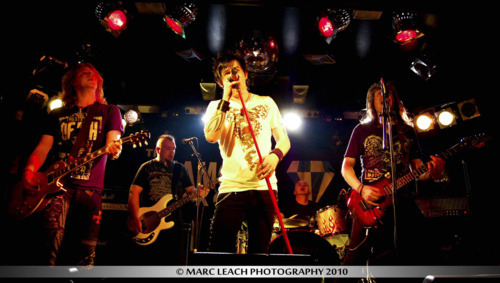 This was the first performance with their new guitarist Phil edgar (of Bandwagon). He filled in for the late Trev Flemming who sadly passed away during the year, but it hasn’t stopped the boys from rocking! 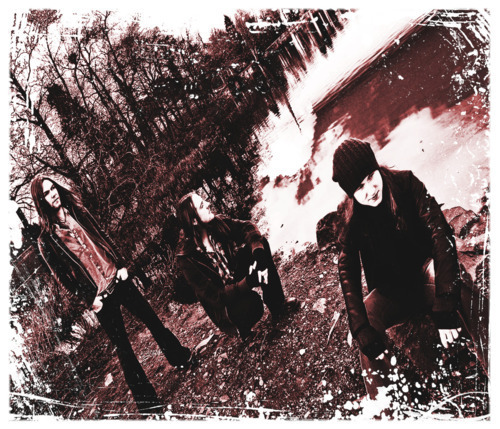 The phenominal Stormzone headling SO:NI’s Summer Rocks show. A truly brilliant band led by the great Harv Harbinson. The sad thing about this night was my camera died at the start of Stormzone, so thankfully I got the shot I was really looking to get. PAY*OLA rocking out in Hagues Bar in Lisburn. One band you will always have a great time with when you go and see them. Led by Phil McCarroll (co-owner of SO:NI). Last but not least we have a band who are hotter than KISS let alone hotter than Hell. Europe’s Number One KISS tribute act Hotter than Hell with a crazy crazy night down in the Empire Hall. There were so many photos to get around as I took so many, and if there was anyone not included I do apologise. This next section is a selection of just shots at gigs I attended not working professionally. At the start of the year I went over to England to see my favourite band Stryper who were doing a 25th Anniversary tour. This was their only UK show of the tour but it was worth going over to see them! At the show I met Annie Lobert who is the wife of Stryper’s lead guitar Oz Fox and is the founder of Hookers for Jesus. Lovely woman! Thanks to my good friend Wilson Archer for giving me his spare ticket to go and see the fantastic Airbourne. A fantastic show indeed by this hard rocking band! One absolutely brilliant show right here! I was so happy to get down to Dublin to see the hottest band in the world KISS!!!!!! The voice of rock himself Mr Glenn Hughes performing in the Spring and Airbrake. Was just simply blown away by how he can still sing the way he does after all the years hes been doing it. My batteries died at this point but a person in the queue managed to take a picture of me with Glenn Hughes. I was so happy as I got to give Glenn the new testament I wanted to give him, plus I just plain got to meet him! And here is the outstanding W.A.S.P. Again thanks to Wilson Archer for buying me a ticket to go and see this band. It really was a fantastic night. Great songs and great sound, and was also great to see Blackie Lawless proving that he is a new man in Christ, after seeing him pray at the end of Heaven’s Hung in Black was brilliant!